Discounts for 7 day bookings are now automatically applied in the pricing provided. Very conveniently located close to the the centre of Jindabyne, including shops, restaurants, cinema etc. Approximately 25min drive to Thredbo, 15mins to the Skitube and 35mins to Perisher. Ridgefield II is a luxury four bedroom, 2.5 bathroom, 2 storey luxury home. The house has two separate living areas, both with 42'' LCD TVs and DVD players, with the main downstairs and the second upstairs. The house is designed and furnished to accommodate 10 people comfortably with two King bedrooms and two bedrooms with 3 sets of bunks between them. There is a second toilet downstairs off the kitchen and a large third bathroom upstairs which has both a bath and shower. The two main bathrooms feature underfloor heating which is very welcome in the cold winter months. The house has a full entertainers kitchen with microwave, oven, gas cooktop, dishwasher and large fridge freezer. The large dinning table sits 10 people for a daily feast. The house is furnished throughout in chocolate leather furniture. There is also a large internal laundry with washing machine and dryer. The laundry is also used as a drying room for wet ski clothes. We stayed at this house for about a week over New Year with two families - four adults and four kids. There's sleeping room for more, but eight of us fit comfortably around the dining table. Kitchen is a good size and there's a BBQ on the deck outside. There's a couple of lounge areas - one upstairs and a larger one downstairs. Airconditioning was appreciated as it was fairly warm while we were there. Jindabyne is a great location to visit the Alpine region with lots of outdoor activities in the summer. The house is a 20-25 minutes walk into the main shopping and restaurant area. We all enjoyed our stay and I'd recommend this property to anyone wanting to visit Jindabyne. The property is so good nice and clean. Very convenience to go to snowy mountain. We are really love and happy with this property and next year we will be there again. Our stay at Ridgefield II was perfect. The house has all the amenities you need and is great for a large group. Richard was very responsive and thorough. I will definitely stay again. A great house that comfortably accommodated my 10 person group. 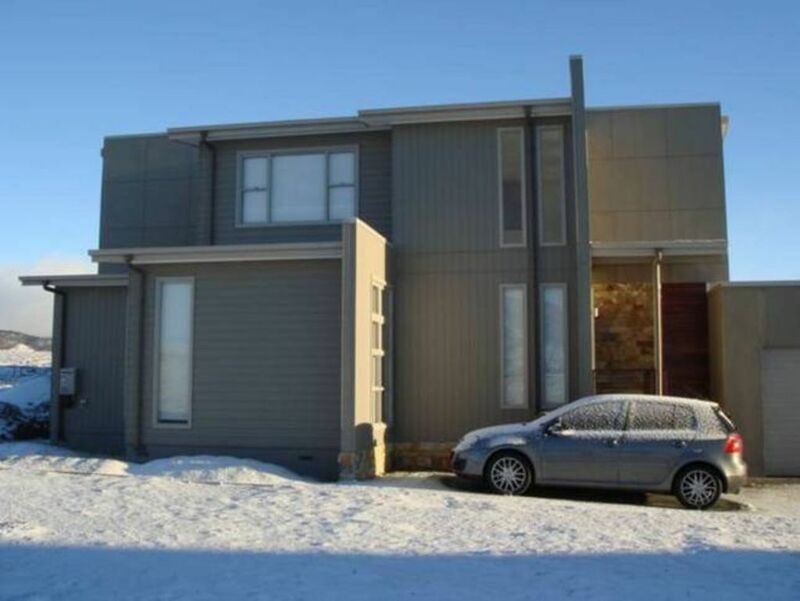 Nice and close to the shops while also being close to the Thredbo/Perisher roads.